Shireburn Software winning the MCA eBusiness Award for Best B2B App. In 1983, a Maltese company was set up as the first IT training company on the island. Run by an entrepreneurial and a tech obsessed young John de Giorgio, the company, Shireburn Software, soon began to develop its own software solutions, and gradually became the go-to software products provider in their field. This year marks the 35th anniversary of Shireburn Software and the legacy is there for all to see both locally and overseas. Their strength lies in finding niche business needs that are not yet supported and developing applications aimed at servicing these needs to facilitate processes. This approach has rendered Shireburn as an innovator and market leader, even at a global level. Back in 1985, the first software developments went into incubation. The software products were then targeted primarily at freight and accounting, followed by retail, inventory, payroll and HR. The company used its insights of the local market and was clever enough to develop practical and flexible solutions for businesses. A one-size-fits-all blueprint does not exist. Products are scalable, thus enabling companies to reap their benefits and obtain a quick return on investment irrespective of the company size. The Shireburn Business Suite adopted this approach as a multi-channel solution for retail, wholesale, distribution and payroll, all integrated into Shireburn’s own accounting and inventory systems. Such solutions are used by sole traders and large import companies alike. By 2001, Shireburn had launched their first global product Integra for Notes, which has earned Shireburn several international awards. This product boasted a global client portfolio including the US Air Force, Siemens, Coca-Cola and Volvo. Integra for Notes was a global leader allowing IBM Lotus Notes users to integrate their Notes data with Microsoft Office. Over the years, the solutions that Shireburn brought to market became more specific, integrated and complex to develop, but still adhered to their practical nature for which Shireburn products are so well known. One of the more recent achievements for Shireburn is the Concessionaire Analyzer+ software solution, spun out into a separate company, designed specifically for airports and shopping malls to strategically manage and increase concession-based revenue. CA+, as it is commonly known in the industry, uses a myriad of data collection methods to analyse in depth concessionaire sales data, to provide insight into the commercial operations as well as allowing operators to manage their assets in real time. 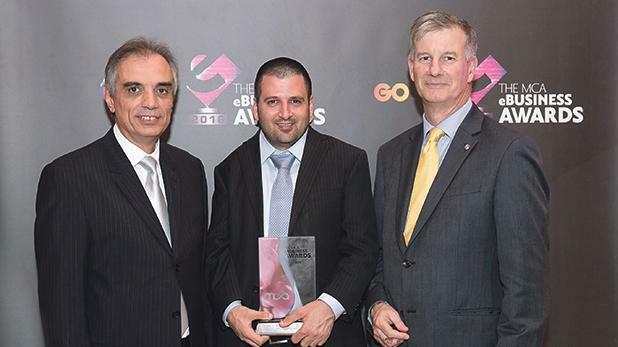 Last year, CA+ brought home the Revenue Generation Award from International Airport Review magazine and CA Plus Ltd was partly acquired by global giant Gentrack Group – Veovo. 2015 heralded a new era for Shireburn’s products with the launch of the cloud-based Shireburn Indigo platform – Shireburn’s next generation software products. Over the years, Shireburn took its core solutions through 4 major technology waves; the more recent of which was the leap forward to multi-tenanted, cloud technologies based principally on Microsoft Azure as a Platform. The first to launch was Indigo Payroll, offering easier and more flexible payroll and leave administration to local companies combining improved capabilities with lower costs of ownership. This innovative product has already won the MCA eBusiness Best B2B Application award and is becoming the payroll management software of choice for a growing number of both large and small Maltese companies with currently over 35,000 employees being managed through the system. The Shireburn Indigo suite will be further strengthened in January 2019 with the Shireburn Indigo Time & Attendance module, bringing more added value to local companies managing rosters, shift-based schedules and attendance management. 35 years on, Shireburn has grown steadily to have a staff complement of 64 and counting, who have all in some way or another contributed to make it the success story that the company is today. For more information visit www.shireburn.com/35.